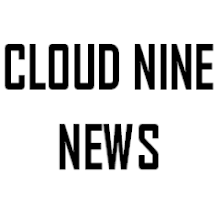 Cloud Nine News: Do Critics Still Matter? …They do not matter to me nor do they seem to matter to many moviegoers. Movie critics live in a bubble in which they believe they have enough clout to dictate what people should and should not see based their reviews. Aggregation websites like Rotten Tomatoes, which create a summarised critical opinion of a film through a percentage, have only made things worse. They have inflated the ego of critics to colossal levels. Critics forget the general public have minds of their own and will go to see a film regardless of a film’s critical perception. Sure, people like you and I will read reviews and check these immensely popular aggregation websites, but evidence shows, the critical opinions which are expressed through these reviews and websites do not have as much influence as critics may think. How many times have you watched an award show and the film scooping all the major recognition were largely ignored by the general public and public discourse? For instance, Spotlight, a drama about journalist which won the best picture award at the academy awards was lauded by critics but failed to have the same impact of, say Suicide Squad. One would think, if critics did have such a large influence on moviegoers as they think they have, the former would have been the bigger hit, or at least would have had more cultural impact than it did. Critics loved this year’s reboot of Ghostbusters (it has an approval rating of 73% on Rotten Tomatoes) although audiences clearly did not respond to the film, which is now considered by respected publications like Forbes and The Wall Street Journal as a box office bomb due to its losses. In the new social-media blogosphere of critics, a playground bully mentality is maintained among online movie nerds which leads to films being panned even though audience opinions suggest otherwise. James Cameron’s epic Titanic was panned by critics leading up to its release, and we all know the fate of that film.